Ottumwa, Iowa. Most Americans recognize the name of this community in the nation’s heartland as the hometown of fictional television character Walter O’Reilly – better known as “Radar,” the young corporal at the 4077th M.A.S.H. who slept with a teddy bear while coming of age at an army hospital during the Korean War. His eyes witnessed the worst of humanity; his responses to the most painful of those moments tweaked the collective conscience of the millions of television viewers tuning in each week, reminding us that displays of kindness, compassion and hope are still possible even in the midst of hate and horror. 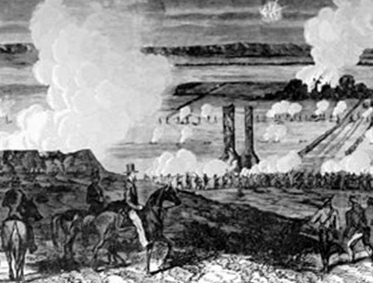 But Ottumwa also has ties to very real wars, including to America’s terrible Civil War – and to one of that war’s lesser known, but valiant regiments – the 47th Pennsylvania Volunteers. 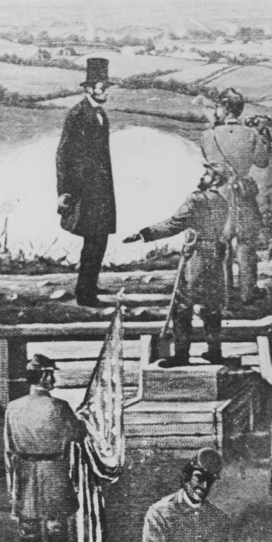 For it was in Ottumwa where Lewis W. Saylor (1845-1877) chose to resettle after serving two terms as a Private with Company H of the 47th Pennsylvania Volunteers, and where he closed his eyes for the final time and was buried with military honors. Memorial Day Planning Headline, Ottumwa Courier, 9 May 1901 (public domain). Led by six police officers each of whom carried a large bouquet of flowers to place upon the graves of the veteran dead, the parade formed and wended its way up Court hill. The Fifty-fourth regiment band attired in its military uniforms added a martial aspect to the pageant which was inspired by the national melodies that were rendered by this excellent musical organization. The local guardsmen of Co. G.I.N.G. were also in the line as were a number of Sons of Veterans aiding by their presence to the occasion that honored their fathers’ memory. The speakers in carriages and the old soldiers in vehicles were also in evidence and excited the love and esteem of the onlookers as the parade moved forward to the cemetery. Both Cloutman and Tuttle posts of the G.A.R. and the Relief corps of the two posts were a part of the parade. Citizens voluntarily fell in to swell the ranks and lend their aid to the expression of honor and esteem of the veterans. A large crowd was gathered in the city park preliminary to the starting of the parade and in the band stand of the park, the Fifty-fourth rendered several selections while the crowds assembled. Carriages and autos gathered about the park ready to join in the parade to the cemetery, and the street cars carried hundreds to the graves of the departed veterans and relatives as the pageant moved slowly toward the cemetery. Honorable Ellsworth Rominger of Bloomfield this morning made the Memorial day address in South Ottumwa. He told a remnant of the Grand Army of the Republic, their wives who largely comprised the Women’s Relief Corps and the children of the veterans, of the great debt the nation owes the noble sons who in the stormy days of the nation’s strife and her hour of greatest need, responded to the call. 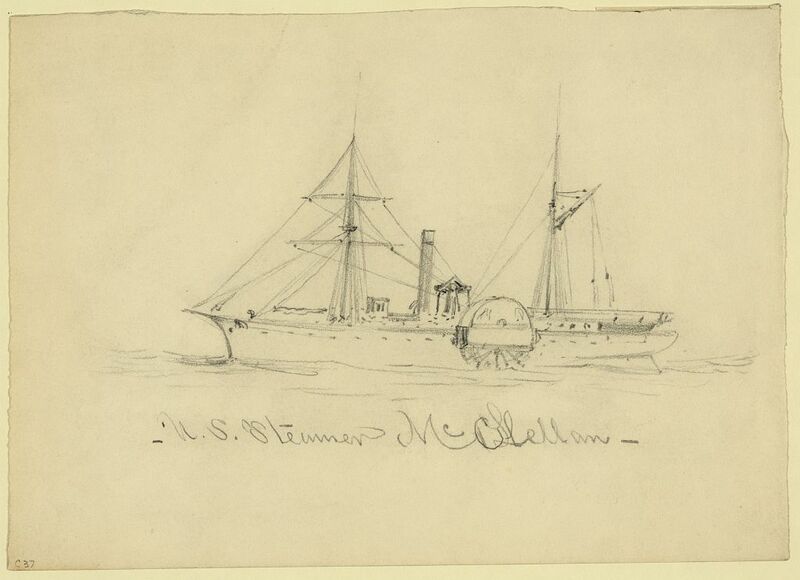 He graphically sketched and in a realistic panorama brought before the minds of the assemblage the days of the civil war, and equally effective was his treatment of the fruits of this terrible conflict so great in cost to the nation. 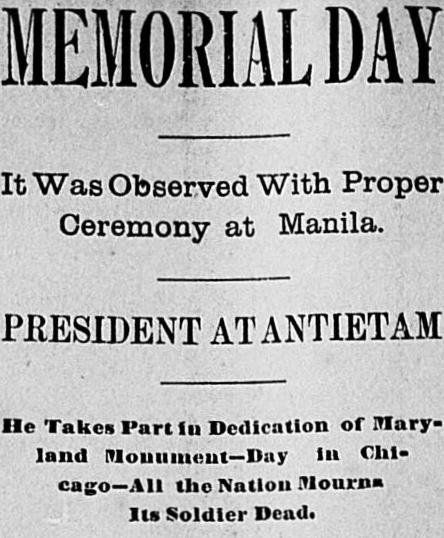 Memorial Day Headline, Ottumwa Courier, 31 May 1900 (public domain). If you would ask me what this great war cost, I would ask you to accompany me through the soldiers’ home of this state and look into the faces of 600 veterans. There your answer would be plain and you would readily appreciate the great cost the war had been. It is said that this strife cost the nation $400,000,000 and 100,000 lives, more than enough to purchase all of the slaves. But that was not the cost, for it cannot be computed in money. Rominger then said something which still holds a powerful truth, and is worthy of taking to heart in the midst of America’s recent heated election season. Despite the extreme divisiveness which erupted before and during America’s Civil War, Americans who had opposed each other in battle later went on to come together to work for the betterment of their nation and respective communities. They found the strength to forgive, to put aside their differences, and to compromise. To illustrate his point, he recalled the dignity accorded to a Confederate soldier’s recent burial. Accompanied by a Grand Army of the Republic honor guard, the soldier’s casket was draped with both the Confederate flag (“stars and bars”) and the American flag. Wilson, J. H.: Co. C, 15th New York Artillery.